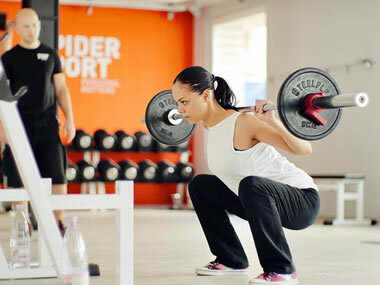 SPIDER SPORT offers fitness studios for personal training. The training is always led by a personal trainer who participates in the whole process demonstrating the exercises to the client and guiding the client through correct performance. SPIDER SPORT has a team of specialists consulting and training people with spine curvatures disorders (scoliosis, pathological kyphosis and lordosis), problems of the musculoskeletal system (discopathy, spinal disc herniation, limited joint mobility, secondary rehabilitation after joint operations (knees, shoulders). The program is guided by a certified kinesiotherapist with extensive experience in rehabilitation with free weights training. SPIDER SPORT offers stretching courses in our two studios in Iztok and Lozenetz. The groups consist of up to 6 people, which allows for paying personal attention to everyone. The trainers will help you to stretch properly and gradually following the stretching program developed by Milko Georgiev and SPIDER SPORT team. SPIDER SPORT offers one-hour BOOT CAMP outdoor training in the parks Borisova Gradina and Yuzhen Park in the mornings and in the evenings in the spring, summer and fall. The training begins with jogging and stretching exercises for joint mobility. Milko Georgiev has been researching and teaching the principles of proper nutrition since 2002. 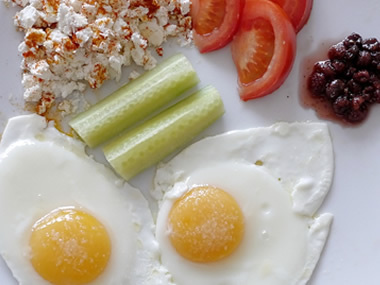 Being a pioneer of High-Fat Low-Carb Nutrition, he has developed practices that have proved to be the most successful in the field of nutrition. His participation in dozens of TV shows, forums and lectures has helped thousands of people in Bulgaria and around the world. SPIDER SPORT offers group training in groups of 4 to 6 people under the name SPIDER TOGETHER. This type of training is suitable for friends, colleagues and families who want to train together at a better price following an effective system. The group training is held in the studio in Lozenetz (Monday-Saturday) with registration in advance at 0876 1000 48. SPIDER SPORT has years of experience in strength and conditioning of professional athletes of various athletic disciplines. We have a specific set of specially adapted exercises typical for the respective sport to the standard set of free weights exercises. The purpose is to make the technique of the athlete more precise and to increase his/her strength endurance and explosiveness. SPIDER SPORT offers wonderful conditions for relaxation, sport and wholesome nutrition at our fitness vacations. We invite you to share with us a week close to nature – on the sea shore in the summer and at the mountain sports base Belmeken in winter. You will learn directly from the knowledge and experience of the trainers of SPIDER SPORT and the guru Milko Georgiev in a group of positive and motivated people. Master Class with Milko is for people who want to master and apply the principles of training and nutrition at the highest level. The class consists of an individual training consultation during which Milko will make your training technique and your nutrition plan more precise. For optimal results we recommend a package of two consultations at a discounted price. 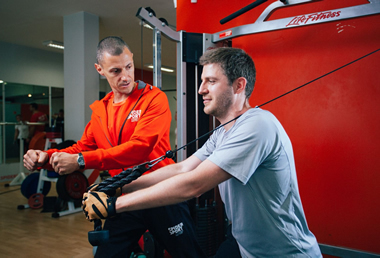 Educating and certifying trainers in the SPIDER SPORT Academy is a practice which Milko Georgiev has been developing since 2003. The creation of a strength and conditioning trainer is a process which involves the formation and building of a precise vision and a proper attitude towards the overall improvement of all athletic qualities of the client.